Empty Full Drum Volume - 9 inches Radius x 15.5 inches high. The Electra turns to be the queen of your kitchen and its smart look simply blends with your interiors. Its capacity of 65 Lbs is just perfect to meet all the needs of a compact family. 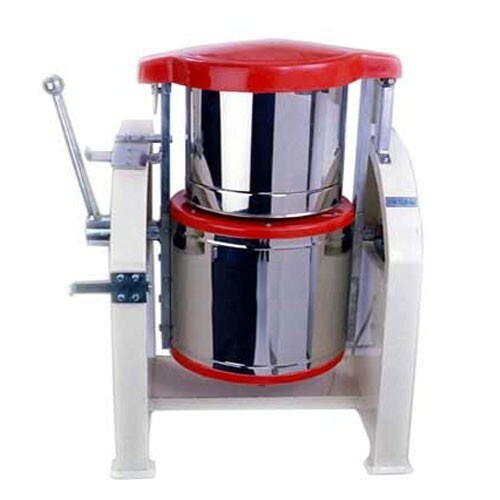 It is equipped with powerful 1.5 HP motor and patented cylindrical stones for professional grinding and prepares your favourite idly batter and dosa batter to perfect consistency. 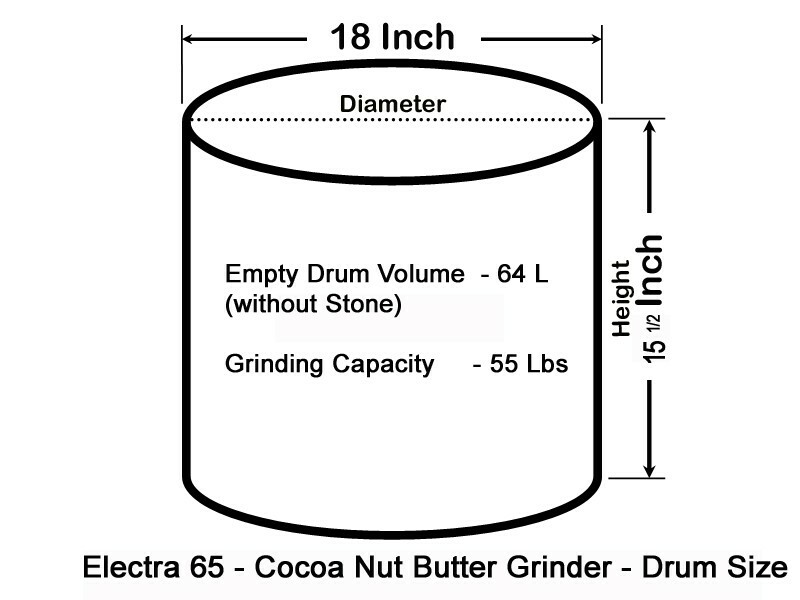 Electra 65 is specially designed to grind cacao and nut to get smooth butter and creame chocolate. Electra 65 is having Hard Black Granite cylindrical stone rotates over the hard black Granite stone base drum. 5. 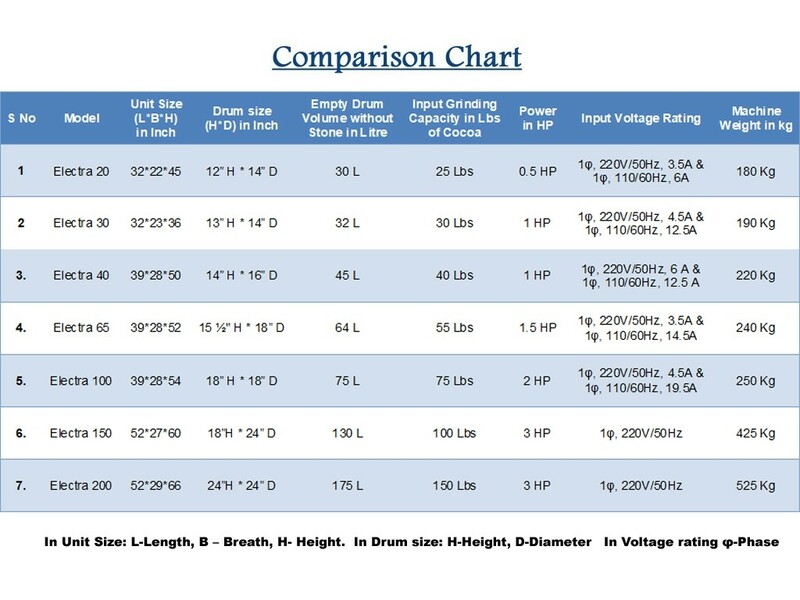 What is grinding capacity of Electra 65? The Capacity of Electra 65 is 60 Lbs. 6. What is the maximum running time of Electra 65? Usually, Electra 65 runs upto 24Hours. Since Cacao grinding, nut butter process are hard to grind, Electra 65 is designed for this purpose of continuous grinding to get the smooth and soft chocolate and nut butter. 7. 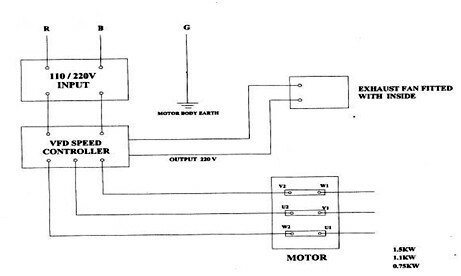 What is function of Electra 65? Electra 65 is a 220 Voltage single phase table top Chocolate melanger in cherry colour, metallic body grinding capacity is about 65 Lbs. Approx the net weight is about 250 Kg.